Puzzle games are a dime-a-dozen, but developer Nevosoftis on a roll with a string of amazing puzzle and casual games that just doesn’t seem to end. 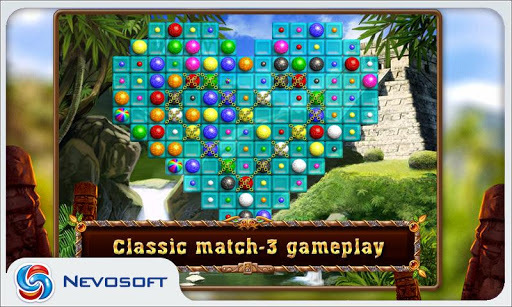 If your friends just don’t understand why casual gaming is becoming the next big thing in the industry, just show them an example of a Nevosoft game and help them understand. 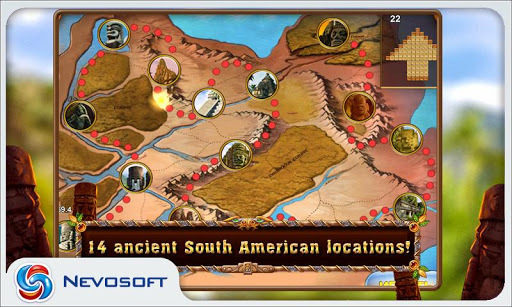 The latest in their lineup of casual games is Wonderlines, an adventure/puzzle game that takes you into the heart of South America to play a sacred game. So what exactly is this mysterious game? 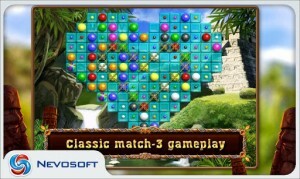 It’s essentially a game of move-and-match, where players attempt to take a game board covered in different colored stones and match them up with like colored stones to eliminate them from the board. That’s an incredibly simplified description of what is a fun and addictive puzzler that you’ll find yourself picking up every chance you get. 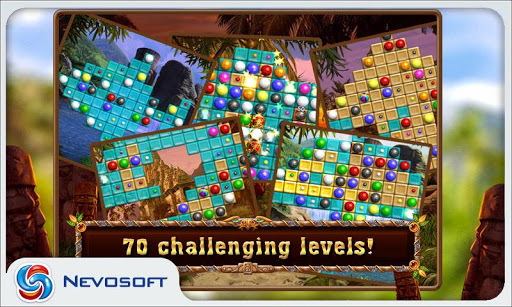 As you progress through the puzzle version of the game you will get access to new items that help take out larger chunks of the board such as dynamite and exploding diamonds. Each new item that’s introduced to the game adds a new level of strategy to the gameplay. 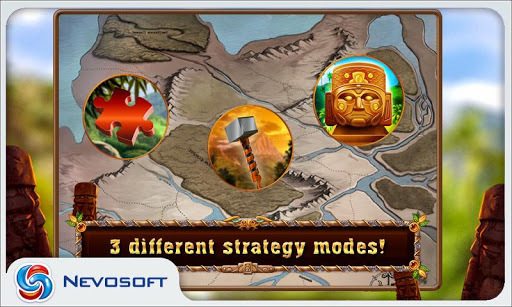 There are three game modes included in Wonderlines; Puzzle, Action, and Zen. The Puzzle gametype allows you to play through a series of increasingly more challenging game boards, which in turn lets you progress along a path on a map. Along the path you will come to specialty game boards which are akin to boss battles or the end of a chapter in other games. Action mode is similar, except now you’re not just competing against the game board, you’re also competing against a timer. The timer and score increase with each 3-stone match you make, but if you take too long the timer will slowly decrease toward the bottom. Keep making matches to keep the timer moving up. Of course in both of these gametypes you’re also shooting for high-scores and fastest run times against yourself. The final game mode in Wonderlines, Zen mode, is all about taking your time and enjoying the game, not rushing against the clock. The gameplay in Wonderlines is smooth, and the scenery makes a great backdrop to the games. In fact, you can tap an icon to simply enjoy the waterfall backgrounds for awhile if you need to take a break. The stones react well to touch, and there doesn’t seem to be any issue with gettings the stones to slide well. One caveat is that you might find yourself dragging the line from a stone to make it move, and your finger covers too much of the board to see exactly where you are placing the end of the arrow. This of course will vary be device and screen size, but be aware that it might be an issue. The sound effects and background music are very complimentary to the game as well. Overall Wonderlines is a great puzzler, perfect for a wide audience of anyone that enjoys casual games. You can complete most puzzles by reaching the score goal in just a few minutes, but it rarely feels repetitive or gimmicky. The game is free, but in order to unlock all of the puzzles you will have to be willing to invest some extra time in the game, review the app, promote the developer on social media, or shell out a little cash. It’s well worth the upgrade. Wonderlines requires Android 2.3 or later.A small expedite fee was paid by the developer to speed up the publication of this Android game review.